Pre-launch activities on New Horizons are complete and the spacecraft is ready to count down. New Horizons is now well inside T-100 hours from our planned launch time on Tuesday. Subject to the approval of the Launch Readiness Review (LRR) to be held at Kennedy Space Center (KSC) on Jan. 15, and the weather, we will be proceeding toward our planned launch on Tuesday. Yesterday the last spacecraft preps, red tag removals, etc., were completed at Launch Complex 41 here at the Kennedy Space Center. And back at the Mission Operations Center (MOC) at the Applied Physics Laboratory, just a few hundred meters from where New Horizons was built, the flight control team completed final countdown rehearsal activities today in conjunction with the Deep Space Network (DSN). The flight control team, under the direction of Mission Ops Manager Alice Bowman, also completed a series of software table loads and load verifications to make sure New Horizons has the right initialization values for its clocks, its guidance system, and other subsystem configuration items. New Horizons is now operating, as it will in flight, off its flight RTG power supply. In an operational sense, we are now very much in a flight mode. From now until the end of the mission, perhaps as long as 20+ years from now, our spacecraft is powered. 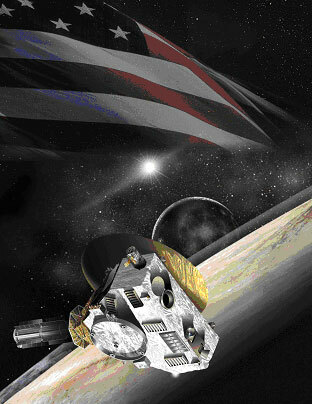 New Horizons is now ready to fly to Pluto. And the geometric window is open. The launch vehicle is approaching a similar state of readiness. If the weather is suitable, we expect to roll out to the pad on Monday, Jan. 16, and to then count down toward launch on Tuesday. The 20th century science fiction writer Robert Heinlein once wrote, "Climate is what you expect and weather is what you get." Well, the climate and weather predicts for Tuesday here at KSC are both promising, with light winds and little chance of precipitation. So hold on to your hats, sports fans, New Horizons is about to be lofted toward the Kuiper Belt, roughly 3 billion miles from Mother Earth. Paid for by Americans, she is headed to the very frontier—for science, for exploration, for all mankind.